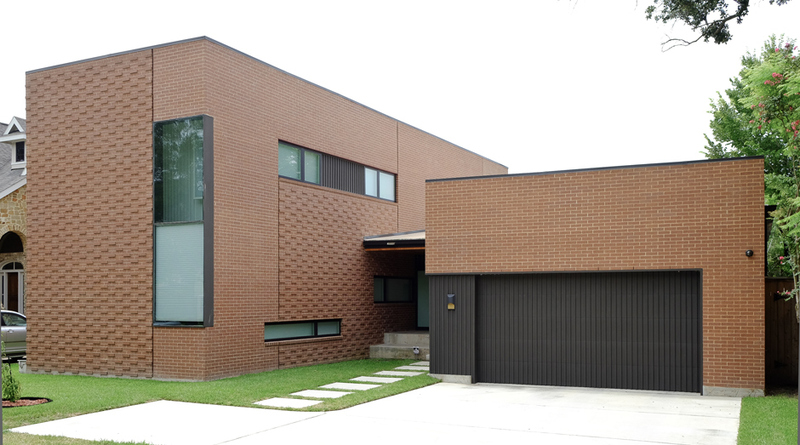 Designed for a young dentist this house consist of two boxes slightly splayed apart to follow the non parallel lot lines. 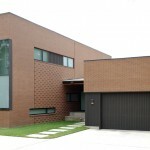 Brick was chosen as cladding to allow the house to ease in to its context. 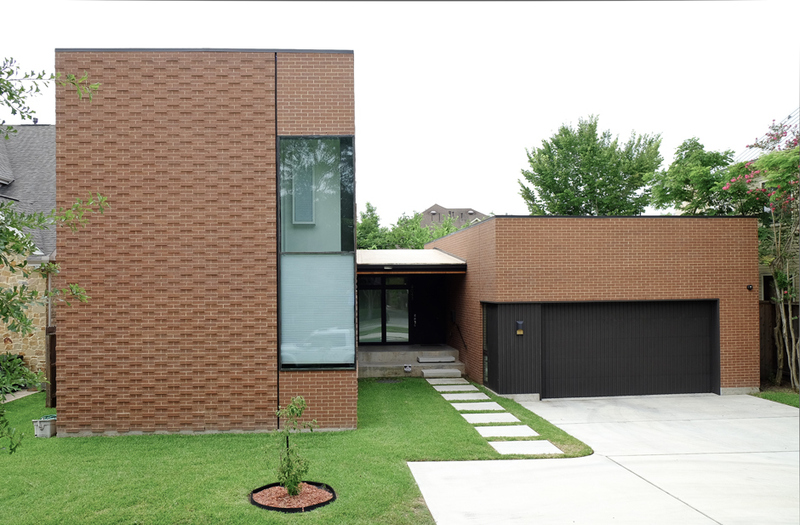 We pushed and pulled the brick a bit to bring some life to the planer facades. 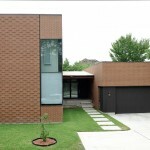 The builder of this project did a great job balancing the fairly modest budget with the slightly ambitious design.